Convert TXT/ HTML to ePub. 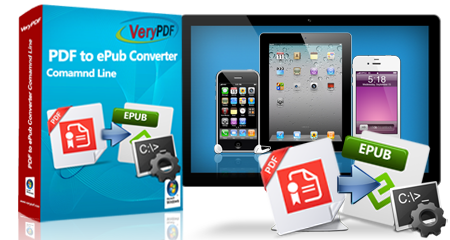 VeryPDF PDF to ePub Converter is an application specially designed to convert PDF, images, Office files, plain text and HTML to ePub. You can download and buy this program on this page. Generate flipbooks from PDF, Word, Excel, PowerPoint, HTML, images, etc. It also supports to directly publish the flipbooks online on VeryPDF cloud servers. Convert PDF to Word, Excel, PowerPoint, HTML, XML, PostScript, EPS, plain text and image. It also supports to set different parameters for the converted files. Convert HTML to images, PDF, PS, EPS, and Office document formats in Windows, Mac OS X and Linux. It also supports to make different settings for the converted file.